83 min. PBS. 2018. $24.99. ISBN 9781531703417; Blu-ray $29.99. UPC 841887035286. 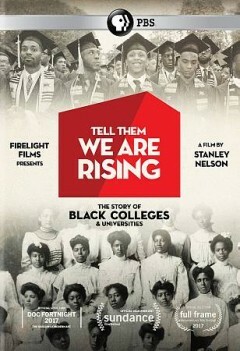 Gr 7 Up—Director Stanley Nelson's documentary surveys the history of higher education for African Americans. By the late 1800s, there were 86 black colleges. The presidents of all of these institutions were white men who felt that the role of their school was for industrial/trade education to provide skilled laborers. A turn in attitude came in the 1920s after African American veterans of World War I were attacked, precipitating race riots, and scholar and activist W.E.B. Du Bois advocated for the educational freedom to pursue professional careers. Other milestones include the work done by Thurgood Marshall, who documented for the NAACP the deplorable condition of black Southern schools; the impact of the Brown v. Board of Education decision: and the Greensboro and Atlanta sit-ins. Unequal spending in higher education is also examined, and the program ends with a look at the black college scene today. Experts in their fields offer enlightening comments that are seamlessly interwoven with the film's narrative and period photographs and film footage. Told chronologically, the narrative is divided into lengths that could lend the program to classroom use. This is a fascinating overview that is sure to spark discussion. VERDICT An excellent tool to include in American history classes.